The Reference 1579 which was introduced into the market in 1943, is not only one of the largest models with a diameter of 36mm, but is also the only one with faceted 'spider' lugs. 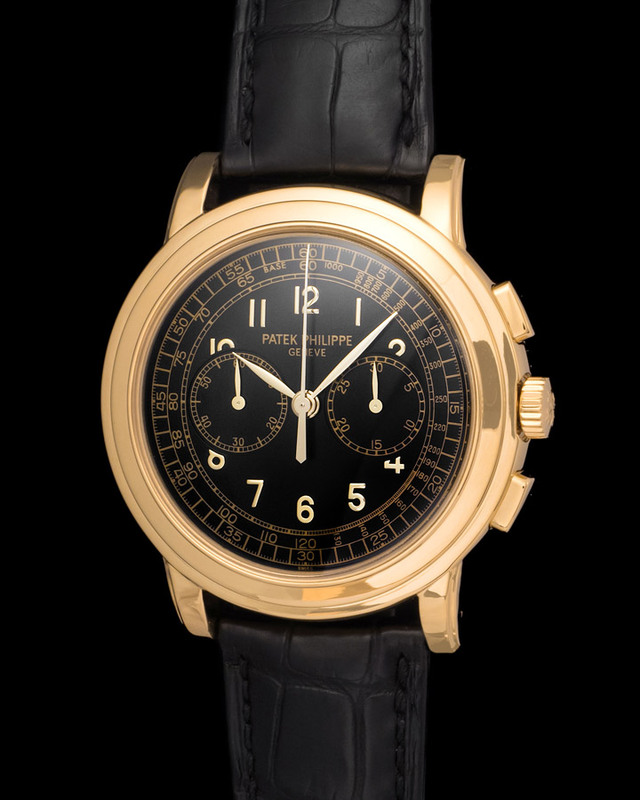 The Patek Philippe 5270 represents a new era for Patek’s perpetual chronographs. It followed the ref. 5970 with an all new in-house made caliber, the CH 29-535 PS Q. 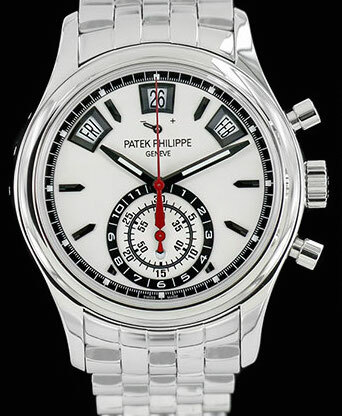 This is a watch that captures the both sides of Patek Philippe, the elegant classy side and the sporty active side. Our 5270R is entirely new and accompanied by a full set of box and papers dating to 2018. This watch has never been worn. The reference 5004 is regarded by many as a grail, an end game watch and in all honestly it truly is. People argue that watches cannot be art but with the 5004 we beg to differ. It is incredible to grasp the notion that a 36mm case can fit such an array of complications. Pictured is a 5004 cased in platinum and fitted with a black Arabic numeral dial. Accompanied are a full set of papers, box, and double back. 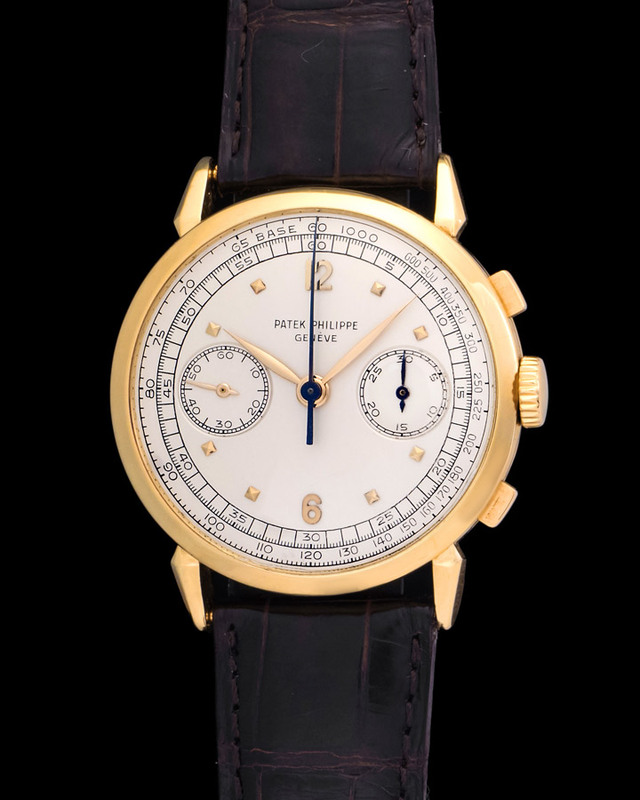 The Patek Philippe 5070 first released in 1998 was a revolution, a real attention grabber. It became the successor of the reference 1463 as strictly a chronograph, without further complications. The fact that the watch measured in at 42mm was surreal for Patek fans, nonetheless they embraced it. Our 5070 is cased in yellow gold and fit with a beautiful black dial. Patek Philippe is doing a continuously good job at introducing steel sport models geared towards a more active segment of the market. The reference 5960A is a beautiful watch cased in steel and put together by a steel bracelet. It's the perfect watch for every day use and ours is in new condition accompanied by box and papers. 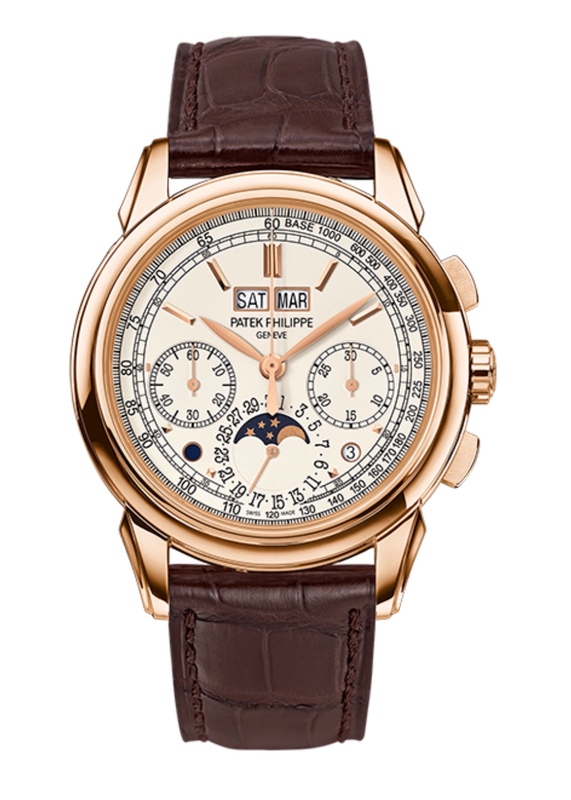 The Patek 5270 represents a new era for Patek’s perpetual chronographs. It followed the ref. 5970 with an all new in-house made caliber, the CH 29-535 PS Q. 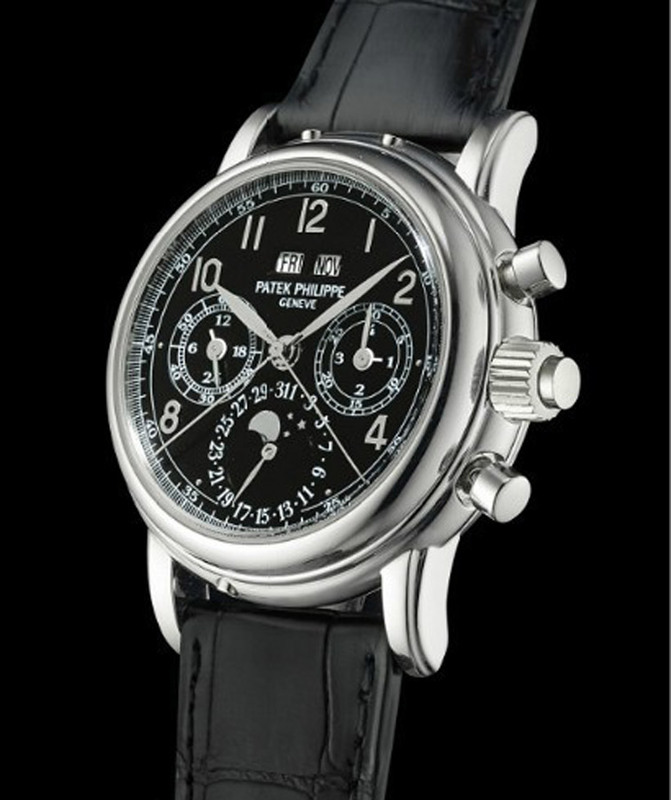 This is a watch that captures the both sides of Patek Philippe, the elegant classy side and the sporty active side. Our 5270 is entirely new and accompanied by a full set of papers and box. 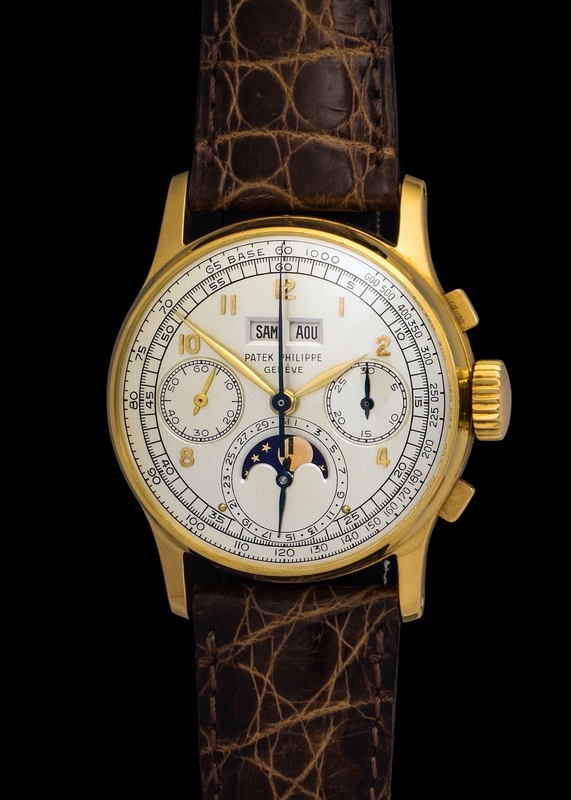 The 3970 is arguably one of the most important Patek’s of the 90’s and early 2000’s. The balance of this watch is absolutely incredible at 36mm it wears like a charm and the way it looks is just beautiful. Very much a classical Patek Philippe. 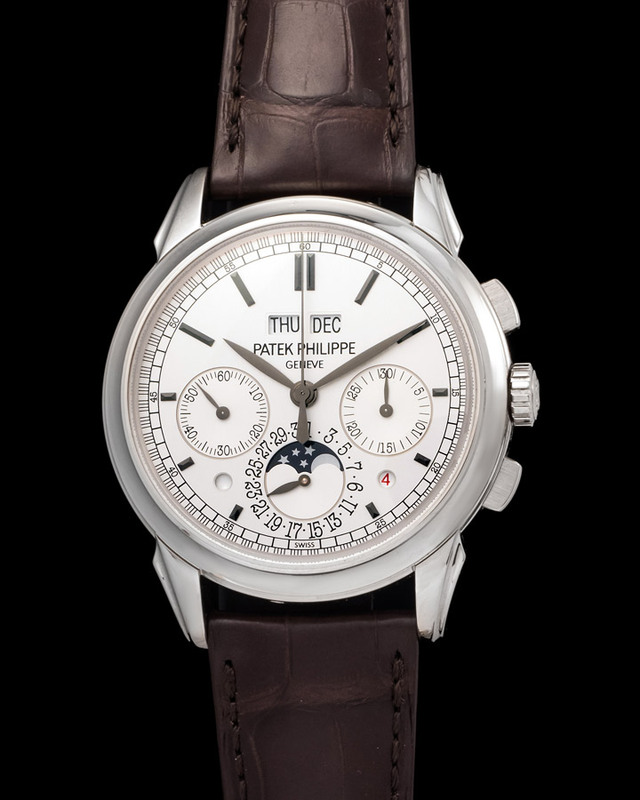 This particular watch is cased in platinum coupled with the original Patek Philippe deployant. We also provide the extract from the archives and its original box. Condition is mint - the watch is ready to go. The caliber inside is the venerable CH 27-70 Q, which stems from the famous Lemania 2310, the same inside the 5970. To put this masterpiece into perspective is this refection: The 3970 is the child of the 2499 and the father of the 5970. 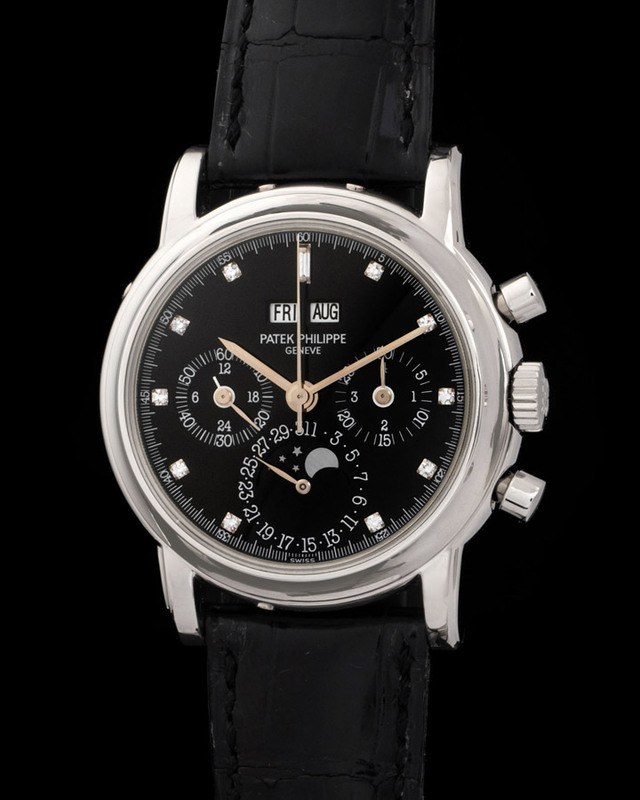 The Patek Philippe 2499 is a masterpiece, a true museum quality watch. This is a perpetual chronograph that was done right and who else to do it than the most important watchmaker in the world Patek Philippe. Pictures do not do this watch justice as it is better appreciated live. Our 2499 belongs to the third series, there were four in total. It was manufactured in 1977 and is powered by a manual Patek Caliber 13” bearing the Geneva Seal and incorporated with 23 jewels. 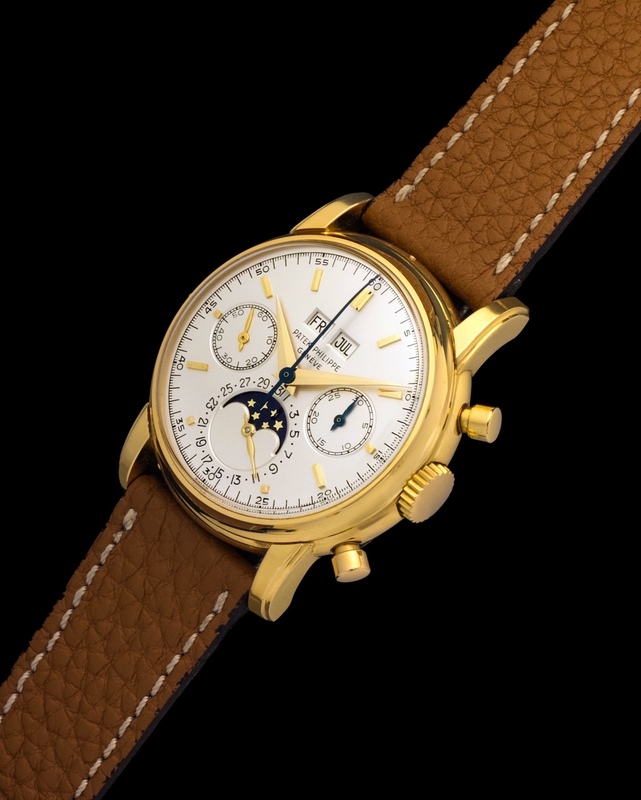 The watch measures 38mm in an 18K yellow gold case and is one of the most comfortable watches a person can wear.